Accelo is a cloud-based service operation automation software that offers tools for sales, projects, services, and retainers. Its features include email tracking, invoicing and payments, a CRM, and more. In this article, we cover user reviews and pricing. Ready to try Accelo? Get a free trial. Users who gave Accelo a positive review like that it has lots of helpful features, such as its ability to track time and tasks within projects. They added that it can integrate with different platforms. They also commented that their customer support representatives are responsive and its price is affordable. One user who gave Accelo a positive review on G2 Crowd said that the software is a strong tool which has extensive customizations to support the typical agency value stream — from lead, to sale, to contract, to project, to loyalty. He added that the triggers and progressions make it fairly easy to automate their work where they can support their team through the software. He also mentioned that the support team is always quick to respond and is helpful. Users who gave Accelo a negative review said that the software has a steep learning curve and that its initial setup and configuration is a bit cumbersome. They also mentioned that it lacks some capabilities such as reporting and password tracking capabilities. One user who gave Accelo a negative review on Capterra dislikes the project scheduling and implementation features. He said that the project scheduling interface lacks agility and flexibility, while the implementation can take some time and may require training on how to do it. However, he added that though it has low points, these are far from being a deal breaker. 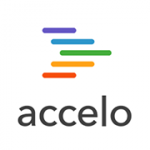 Accelo has five paid subscription plans with two tiers each — Plus and Premium: Sales, Projects, Service, and Retainers solutions (ranging from $19-$39/month); while ServOps costs $39-$79/month. The main differences between the plans include the functionalities available as well as access to premium features such as quote creator, billing and contract management, and more. The ServOps plan gives users complete access to all other plans. Ready to try Accelo? Get a free trial. 11 Best Workflow Automation Software 2019— Workflow automation software allows you to create processes to handle repetitive tasks. For example, the software can send a response every time someone fills out a web form or copy and paste information from one system to another. In this guide, we’ve identified the best workflow automation tools to help free teams to focus on the things that matter the most. Do users need to install a software to use Accelo? No. Since Accelo is completely cloud-based, users do not need to install anything on their computer. Users will just need an updated browser to use the platform. What types of payment does Accelo accept? Users can pay for their subscriptions using Mastercard or Visa. Accelo also accepts wire transfer payments for users in the United States. Not sure if Accelo is the right fit for you? Read our reviews of all top workflow management software providers or check out one of these three Accelo competitors.